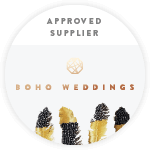 Contact Us — The Canvas Tent Co.
Because no two weddings are ever the same, our excitement in helping to plan each celebration is evergrowing. Why not tell us about your plans for the big day? We'd love to hear your ideas and inspiration, so we can begin to make your vision a reality. Our beautiful sailcloth marquees are available to book now. We service Cheshire, Wales, Shropshire, Staffordshire & Lancashire and will travel further afield on request.